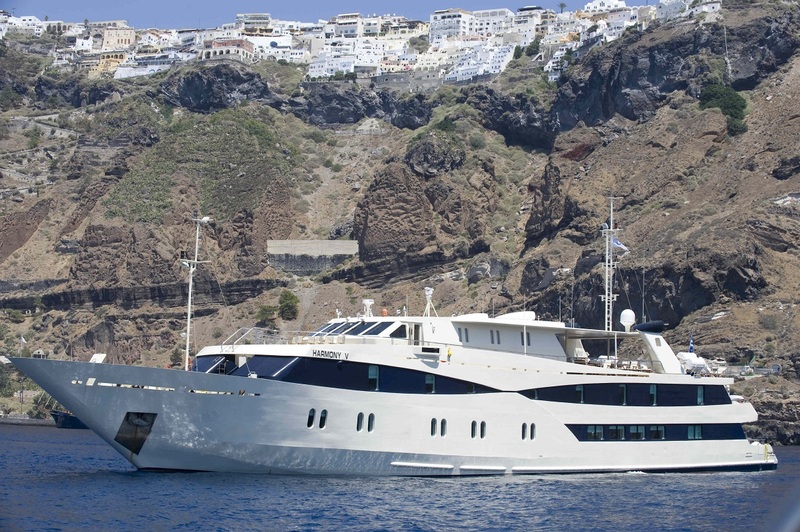 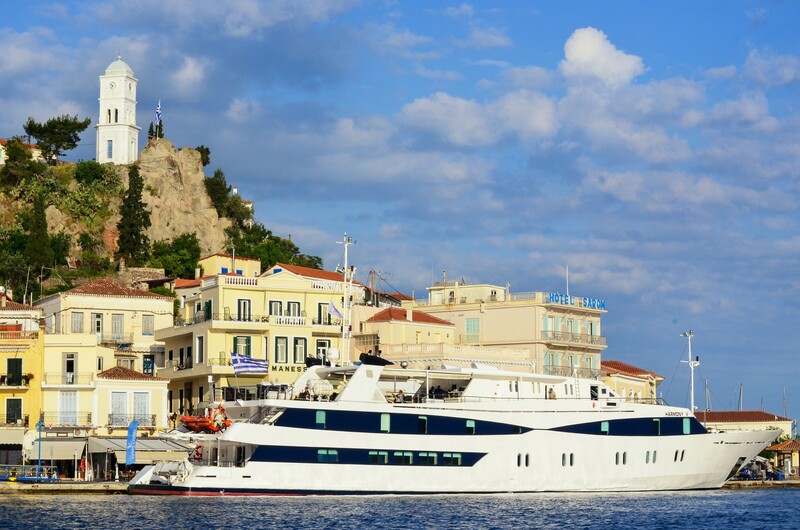 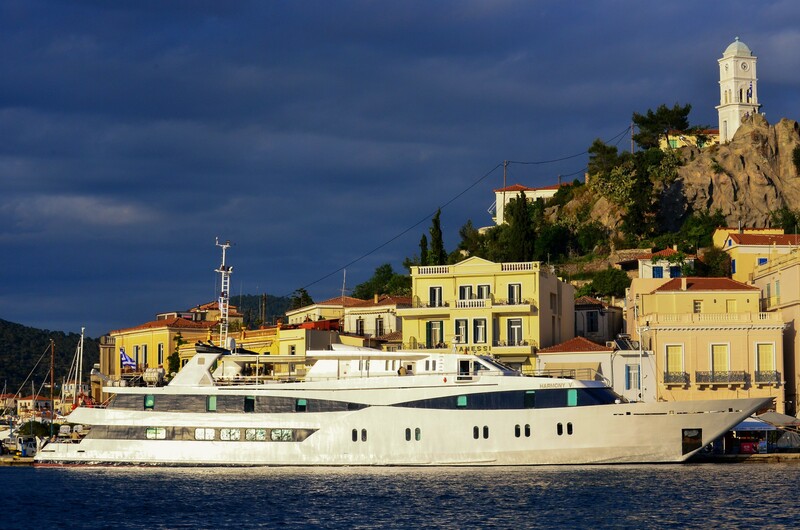 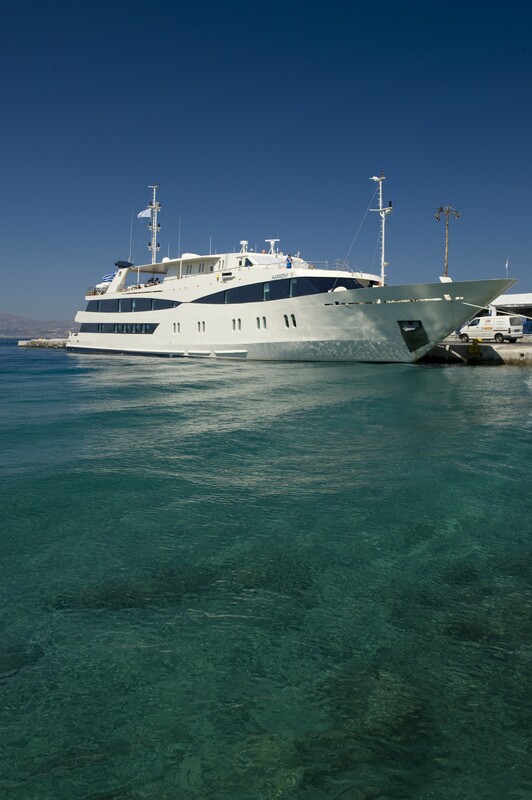 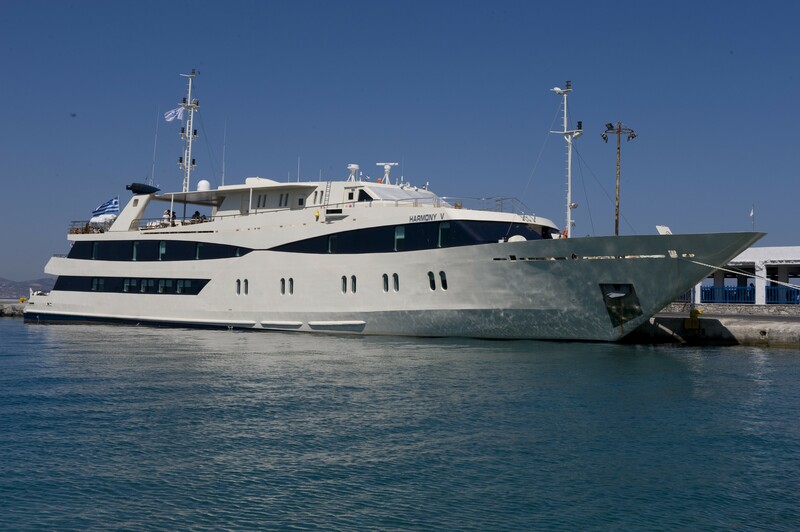 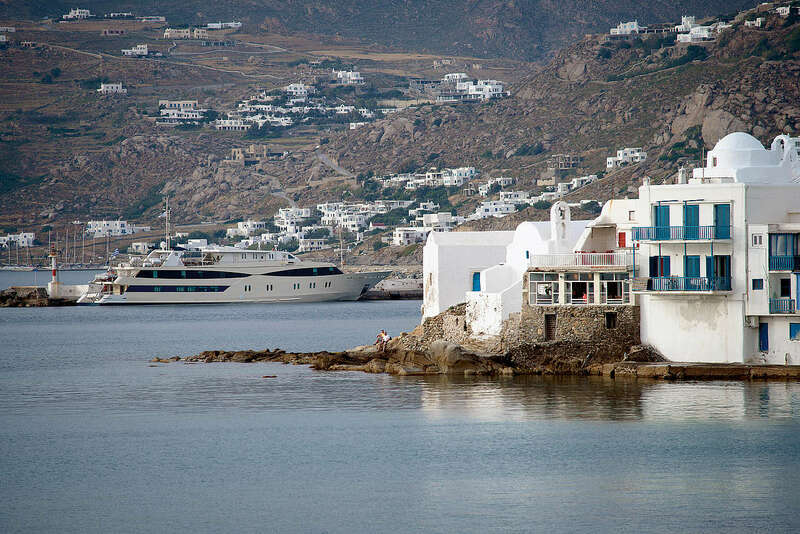 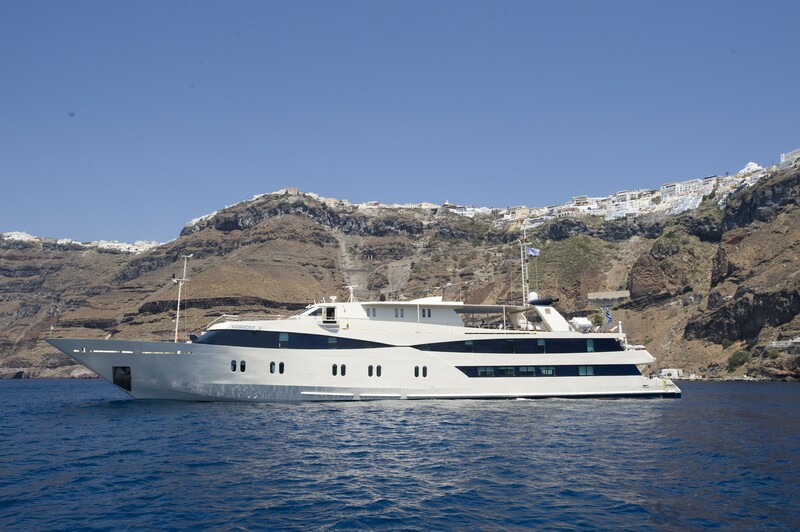 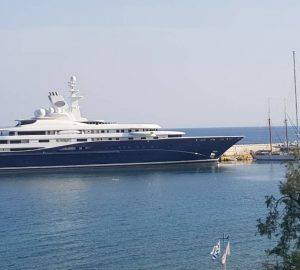 HARMONY V is an elegant and modern 56m (180ft) Piraeus that was launched in 2009. 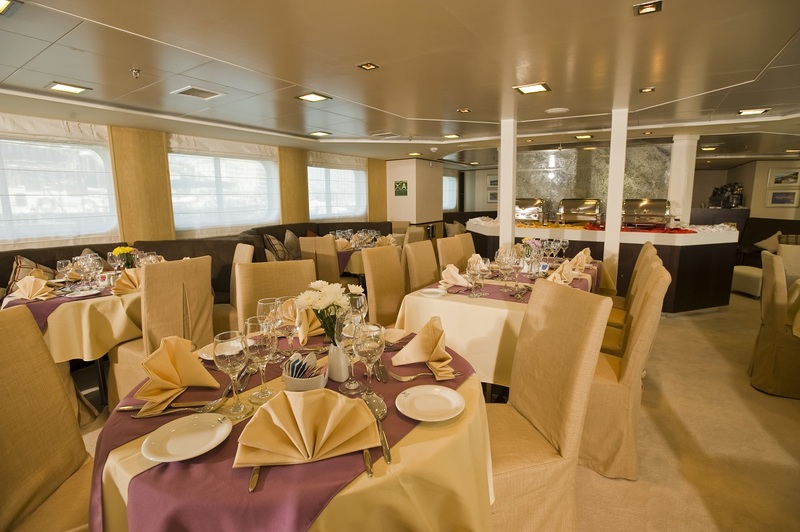 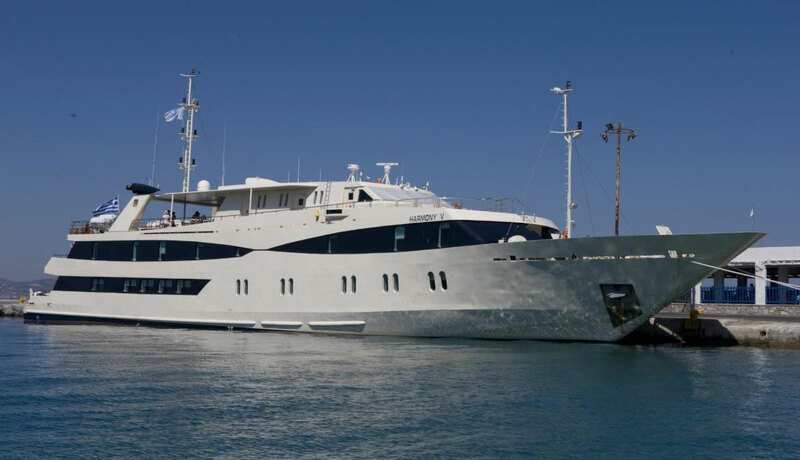 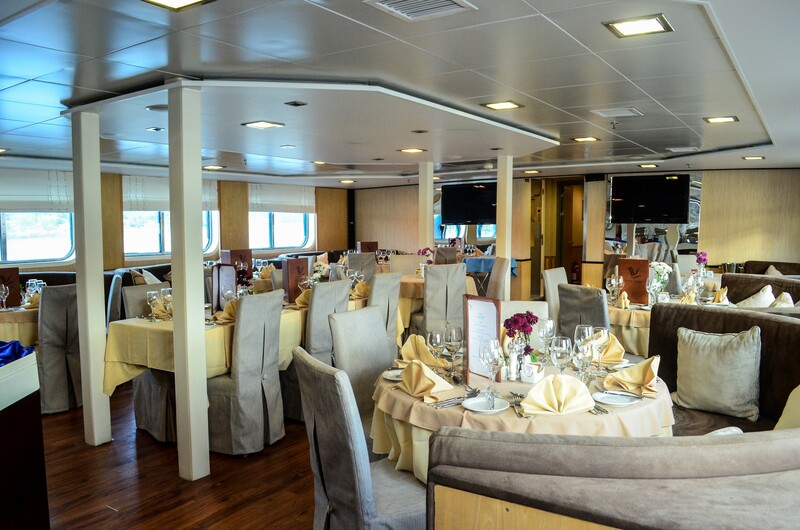 She can accommodate up to 49 guests in 25 cabins. 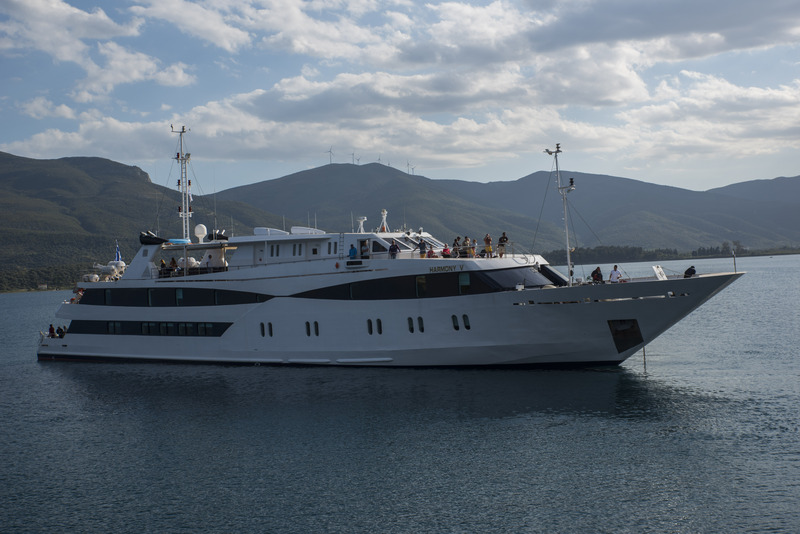 HARMONY V is a sleek and comfortable yacht. 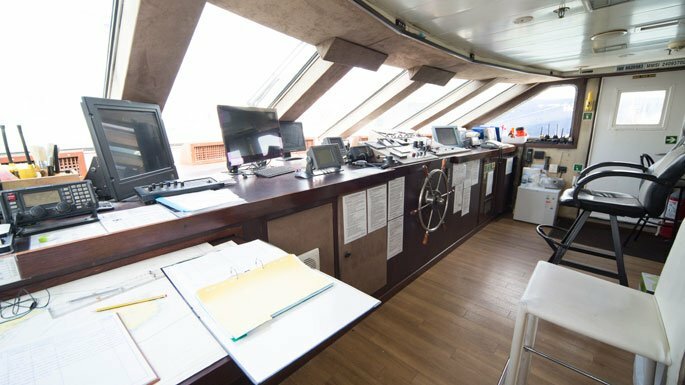 Her interior is spacious, with a rich rather than minimalist décor and enormous windows that let in lots of light and allow for magnificent views. 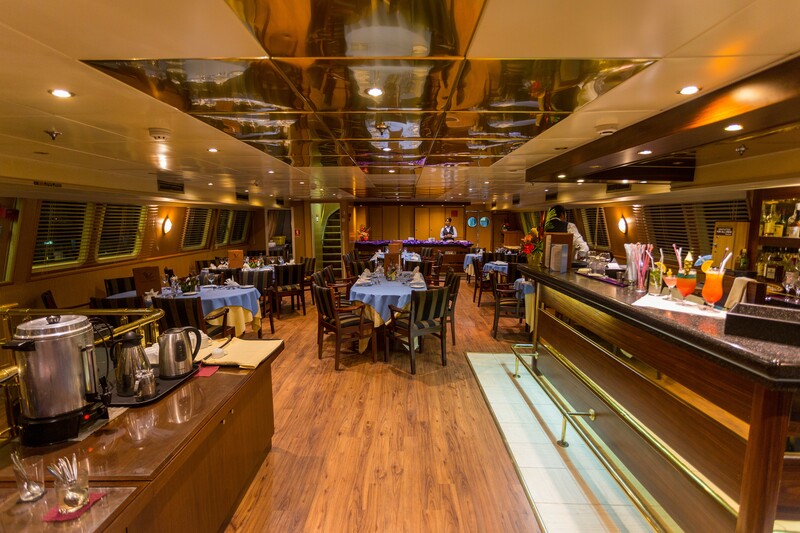 There is a large lounge boasting classy seating and an American Bar. 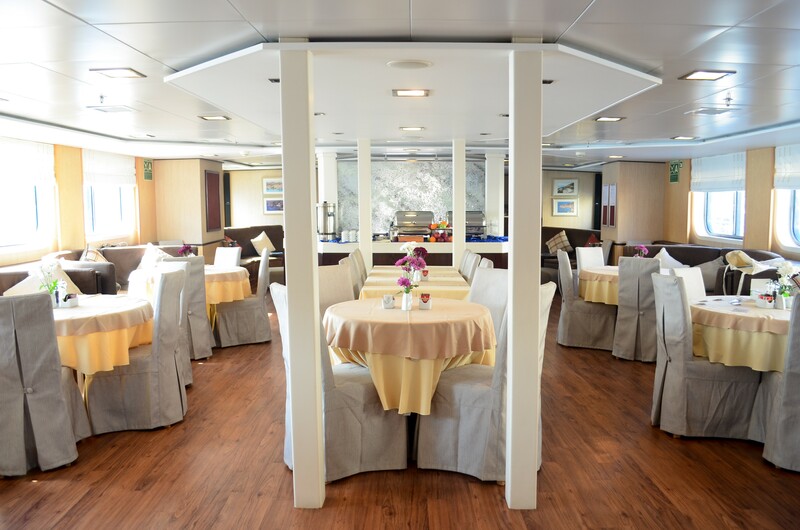 This space leads into an adjoining dining area that is decorated with warm colours and is large enough to seat all guests in one seating. 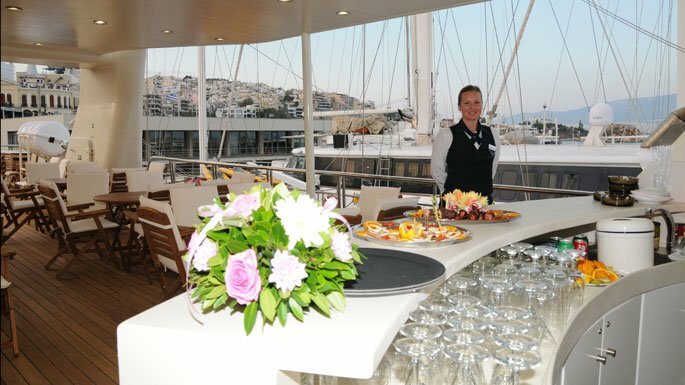 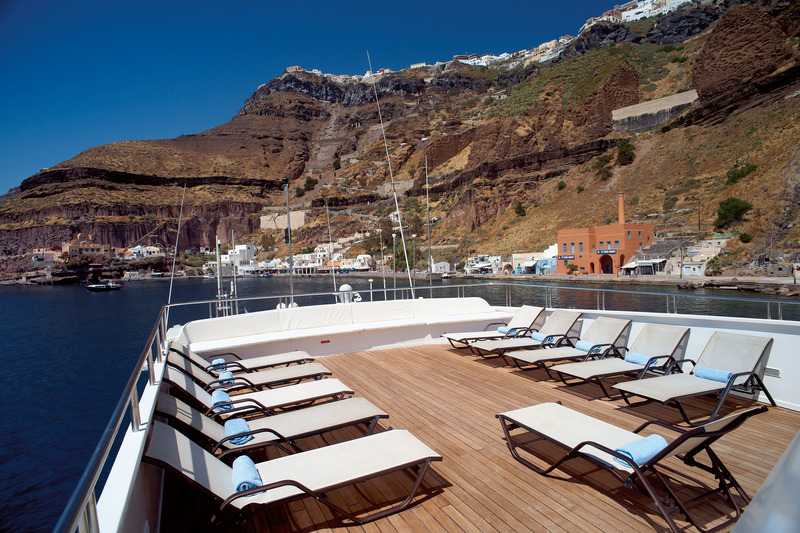 A 200sqm partially enclosed sundeck offers sun chairs and loungers as well as a shaded outdoor dining area and bar. 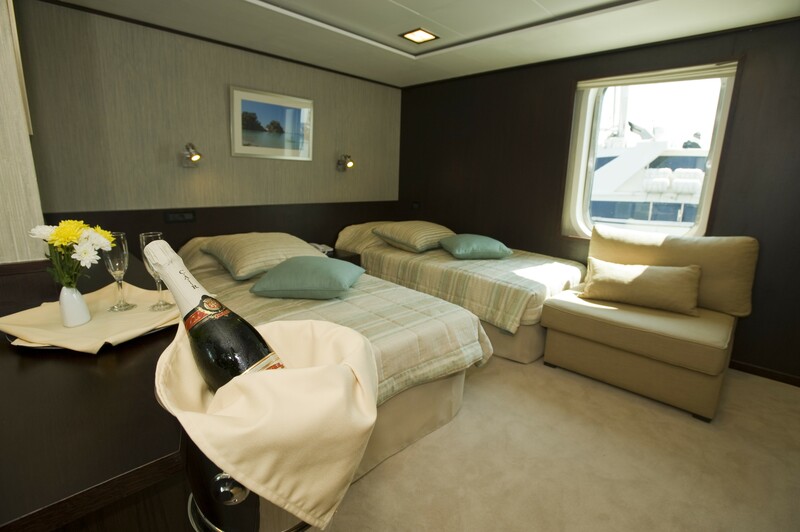 Guests can also benefit from massages or cosmetic treatment at the mini spa, or relax and read a good book or just gaze at the scenery. 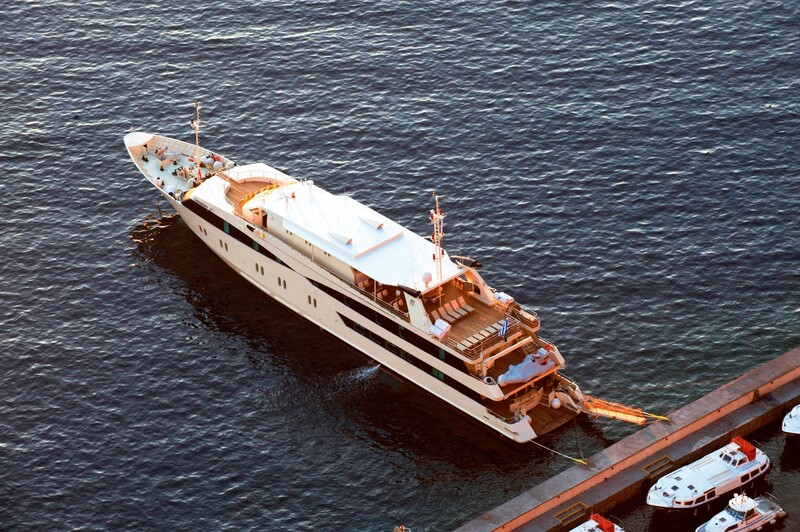 The swimming platform allows the water enthusiasts easy access to the wide variety of water toys that this yacht has to offer. 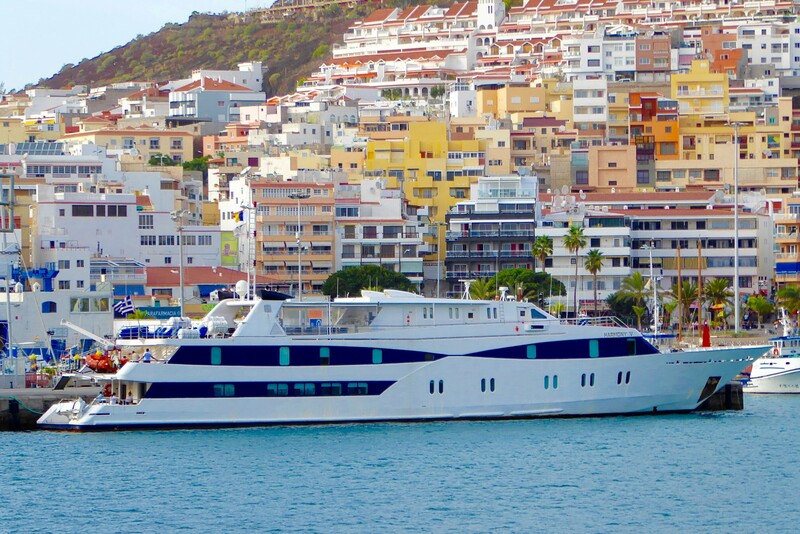 HARMONY V cruises at speeds of 11 knots. 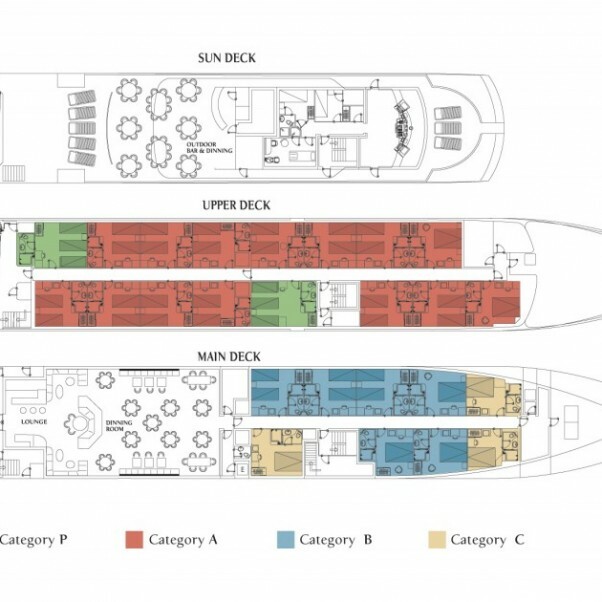 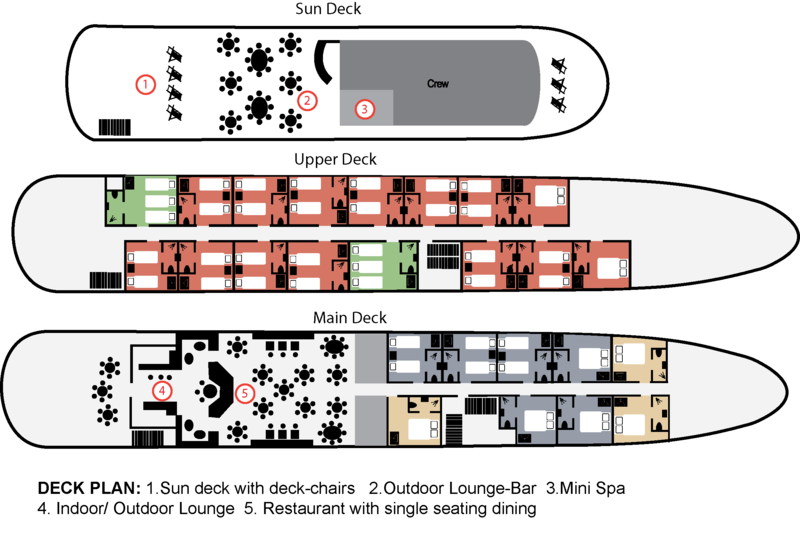 HARMONY V has 25 cabins. 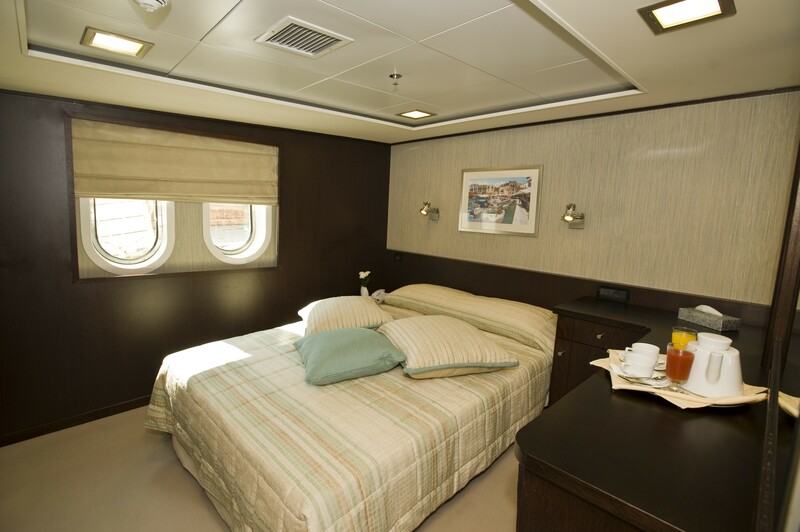 They all face outside and have windows or portholes and lower beds. 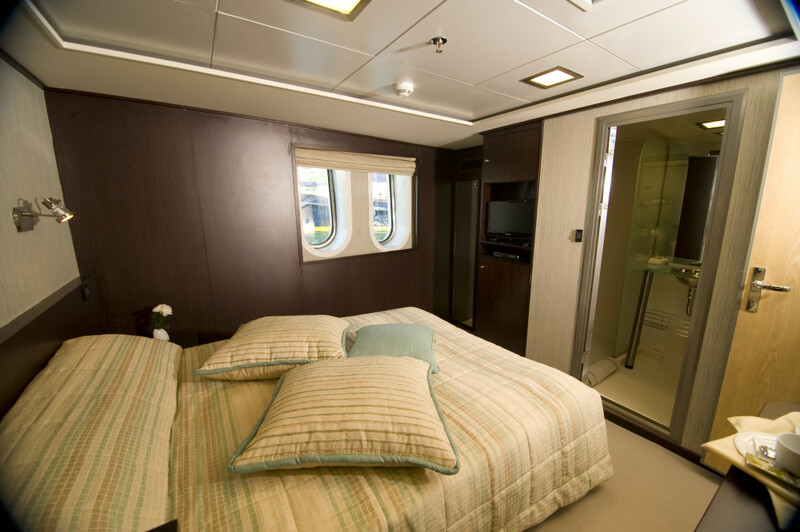 Each cabin has private facilities that include a hair dryer, individual climate controls, TV, internal phone, safe and mini-fridge. 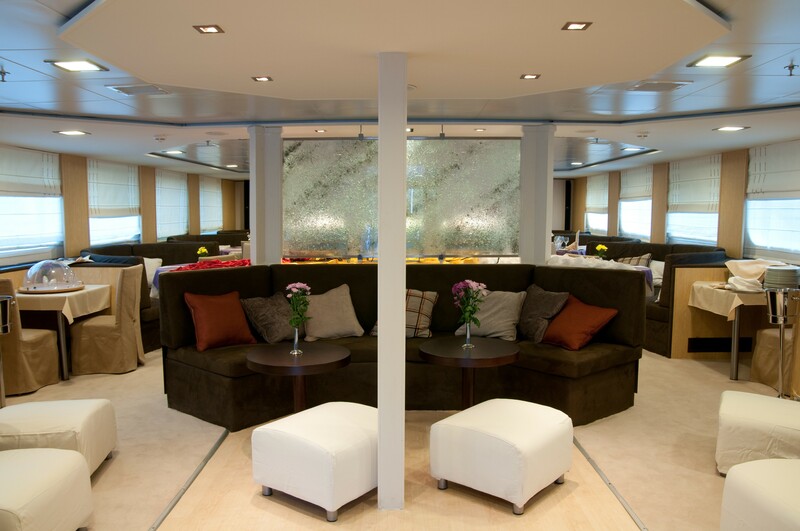 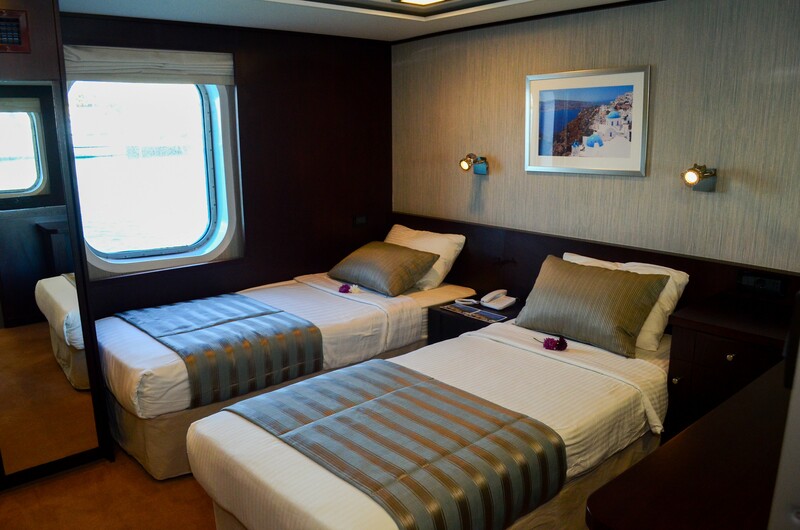 Two upper deck cabins are junior suites and have small seating areas with sofas that convert into a third bed. 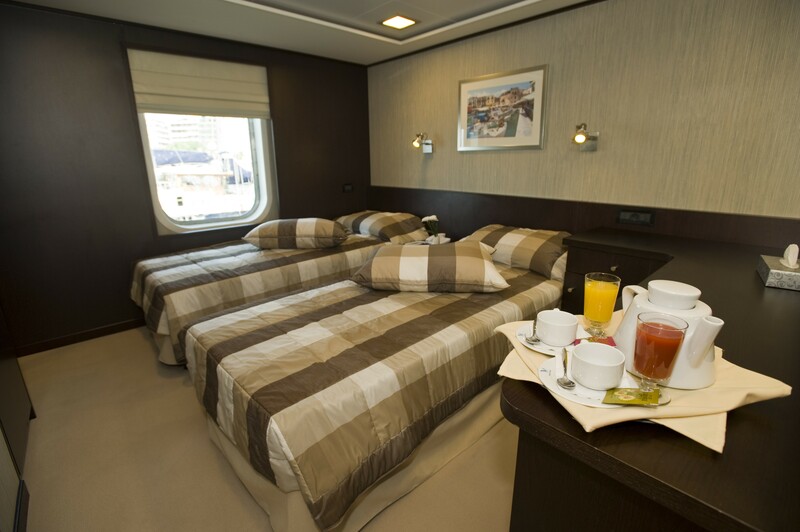 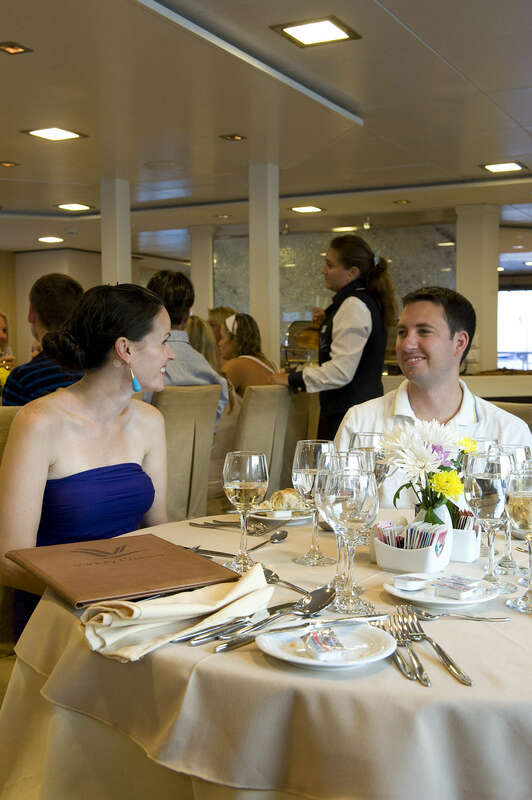 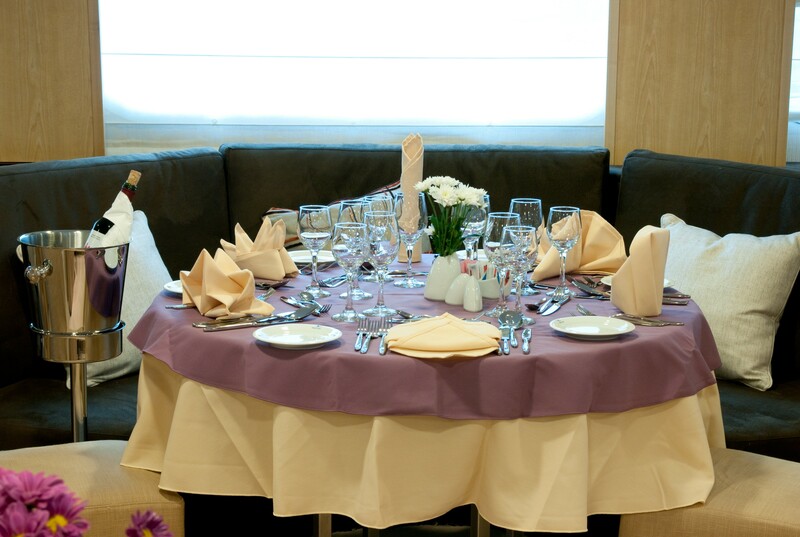 Staterooms are partially panelled in elegant dark wood and boast either twin, double or queen beds.